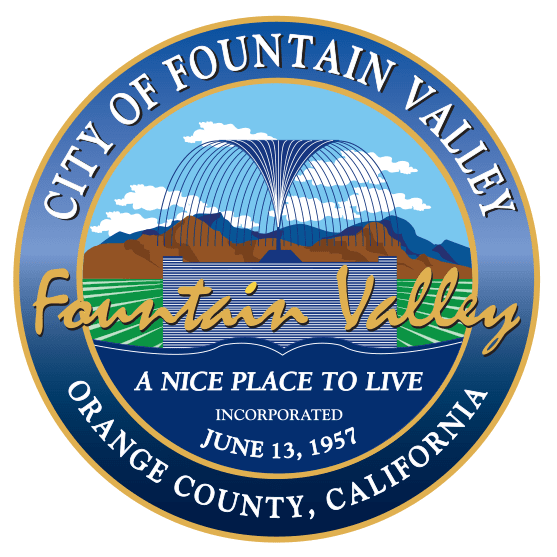 Fountain Valley is a SMART CITY and aims to create efficient government, improve sustainability, create economic development, and enhance quality of life for its residents, stakeholders and businesses. Over the past year, the City has undertaken a comprehensive energy efficiency project aimed at cutting the City’s electrical use and cost. A significant part of the project was the construction of solar panel arrays at four City facilities. 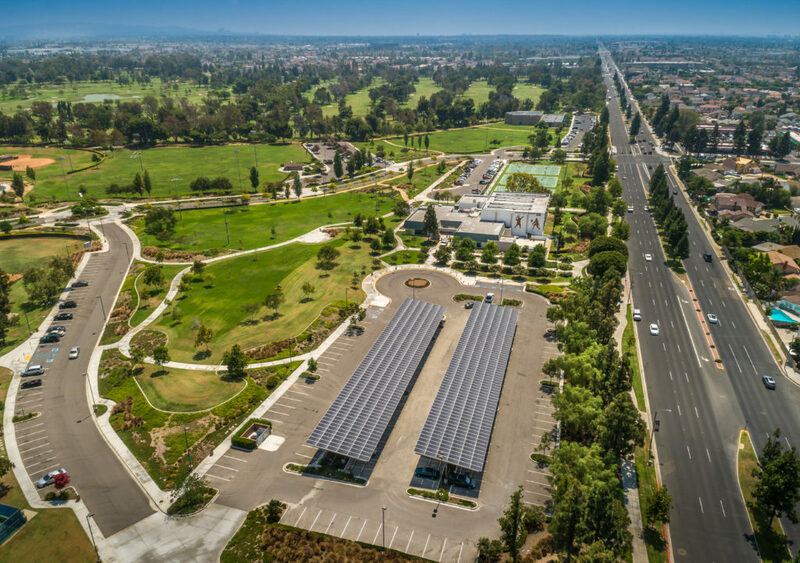 All four solar sites have now been approved by Southern California Edison and are now generating electricity for City facilities. Recreation Center:Installation of a new air conditioning and heating system at the Recreation Center Gymnasium. City Hall: Replacement of (2) indoor air handling units serving the City Council Chambers with a single unit for improved efficiency and cost savings. City Parks: Replacement of exterior pole mounted lighting fixtures with high efficiency LED lights. The LED lights provide enhanced night time visibility, energy savings, long life, and low maintenance. Street Intersections:Replacement of intersection street lights with high efficiency LED lights. The LED lights provide enhanced night time visibility, energy savings, long life, and low maintenance. In February, the electricity billings for the City Yard and the Senior Center was a combined total of $4,400, and in March the electricity billings for the two facilities was a total of $500. In one month, the City Yard and Senior Center generated a combined savings of $3,900. The City’s Energy Efficiency Project will result in an estimated annual energy savings of $190,000 and reduce City facility related greenhouse gas emissions by 20%. After completing many of the energy efficiency measures detailed in the City’s Energy Action Plan, there remain only a few efficiency projects that have the potential to benefit the City both financially and from an energy conservation and sustainability standpoint. 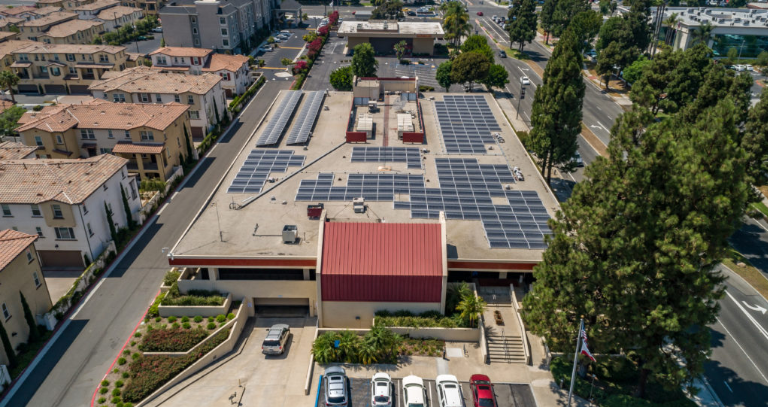 4) Energy efficiency measures for other City facilities, including the installation of new air conditioning systems for the Recreation Center Gymnasium.